I decided I wanted to join in Inktober this year (Google it!) 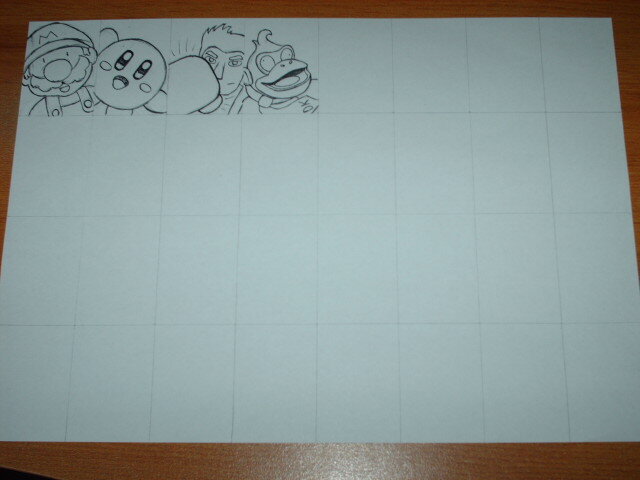 but only in the laziest possibly way that's still fun, so everyday this month I'll be drawing a quick, poorly-biro-ed Smash Bros. character and adding it to the picture below! If you follow me on The Twitter you'll see the dumb new picture I add to this thingy everyday throughout October!